I am an experienced, chartered clinical psychologist and psychoanalytic psychotherapist with over 20 years of relevant work experience, including substantial NHS experience. I have a proven track record of helping hundreds of people with wide-ranging problems. I am passionate about making a difference in the lives of my patients when facing the challenges modern life throws up for all of us. After careful consultation over one or two sessions, I will suggest the best way forward for your particular difficulties. I am realistic, flexible and grounded in my approach and can offer a range of different interventions, tailor-made to your specific needs. My work is informed by my NHS background and solid network with local GPs and services. If I feel that another service is better suited to address your presenting problem, then I will make that recommendation. I am experienced in working with people of diverse backgrounds and beliefs. I have a particular interest in helping people with key transition points in life, whether this is coping with new parenthood, empty nests, marriage, divorce, career changes, loss and trauma. When choosing a therapist, there are lots of people claiming to be qualified to deal with every problem under the sun. Do make sure you are in safe hands with an appropriately accredited practitioner. I hold a Masters degree in Clinical Psychology as well as having a professional qualification as a psychoanalytic psychotherapist. 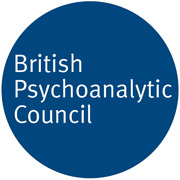 I am registered with the British Psychological Society, Health & Care Professions Council, British Psychotherapy Foundation and the British Psychoanalytic Council and I am governed by the standards of conduct, performance and ethics of all these bodies. I also hold an updated DBS Enhanced Certificate for working with Adults and Children, issued in February 2019. I am a trainer and supervisor of Dynamic Interpersonal Therapy (DIT) at the Anna Freud Centre as well as the Programme Director for extended DIT. I also work as a senior psychotherapist in an NHS psychotherapy service. I have presented papers at conferences and am invited to teach internationally in China and Australia as well as in the UK, including the UCL and Essex Clinical Psychology doctoral programmes. I regularly attend training and read widely to keep informed about my profession. Please get in touch if you want to arrange supervision of your DIT or other psychotherapy work.